While the Galaxy S line is Samsung's flagship family of smartphones, it's the Galaxy Note devices that powerusers usually look forward to. Announced early in the second half of each year, the Notes sport the latest-and-greatest hardware Sammy could cram into them paired with the signature S Pen stylus, which is pretty much unrivaled in the smartphone sector. 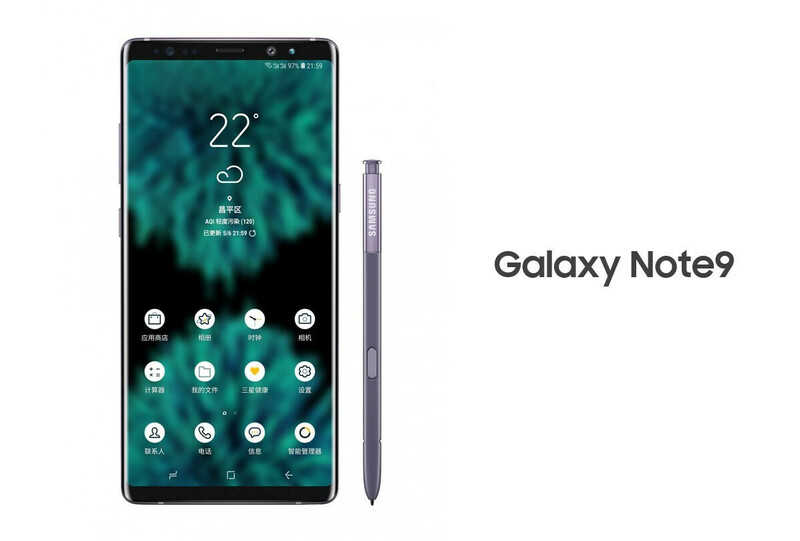 We've already had a few leaks about the upcoming Galaxy Note 9 but this latest one claims to show us how exactly it's going to look. And, disappointingly to some, it appears that Samsung doesn't intend to change much about the new note's looks, compared to last year's Galaxy Note 8. Now, this is not necessarily a bad thing, as the Galaxy Note 8 still looks super-sleek, with its insanely thin bezels and industrial design. In reality, what a ton of users are waiting for is a screen-mounted fingerprint scanner. A lot of leaks and reports have suggested that Samsung might introduce this tech to its phones with the Note 9. And that'd mean that the fingerprint sensor will finally find its way back on the front of the device, where it's much more comfortable to use when the handset is laying down on a table or against a stand. We would say that if Samsung pulls a "Galaxy Note 8s" this year around, it may still be forgiven, so long as it has this practical upgrade and the new stereo speakers we got to experience with the Galaxy S9. What say you? Hahah 8s!!! Good job PhoneArena! Im 90% sure someone took a note 8 and changed the number next to it. Edit coming soon. UPDATE: It's fake. Exactly. And when did Samsung ever used a theme in the official pictures of their phones? And I'm fine with it being the same design. As long as it doesn't have one of those stupid notches. So many companies have jumped on the notch... I personally find it a lazy design and ugly. I don't mind if it's the same design as the note 8, but the battery better be much higher. Look like a note 8 as a note 9 photoshop picture. Touch-screen remote control with stylus. Best part is that you can't afford any of them. I am not sure about Note 9 (is not released yet)....But I am sure that I can easily own you along with your family members. Sammy is waiting for Apple's new design they can copy. after the iphone x copied the s8 in a horrible way? What? Samsung hasn't copied Apple for a long time, if anything Apple copied Samsung's trend towards creating a bezeless design. Samsung was moving closer and closer towards a bezeless design while Apple was keeping their outdated bezel design with the iPhone 6, iPhone 6s, iPhone 7 and iPhone 8. How on earth has Samsung copied Apple in any of the recent years? Samsung has led the front if anything, when it comes to design in the last many years with their curved glass/screen and bezeless infinity design language. Ah yes, be arrogant and derail the conversation through a condesending insult, because you can't prove anything i said wrong. I think you need to lay down your coloring book for once and actually look at the world with an open mind, you might actually learn something, instead of having everything controlled by your prejudice and bias. Not slimmer, it needs to house a front facing speaker. A real one, not the combo earpiece/speaker the S9 has. And a matching one in the bottom bezel. That I can agree with. If you are going to put stereo speakers then do it right. I'm sorry but a bigger battery and on screen finger print scanner is not enough for me to upgrade. isn't that the only thing note has to offer every year?! bigger battery and a pen?! but a fingerprint scanner is welcomed! although I wouldn't get the first device who gets it! 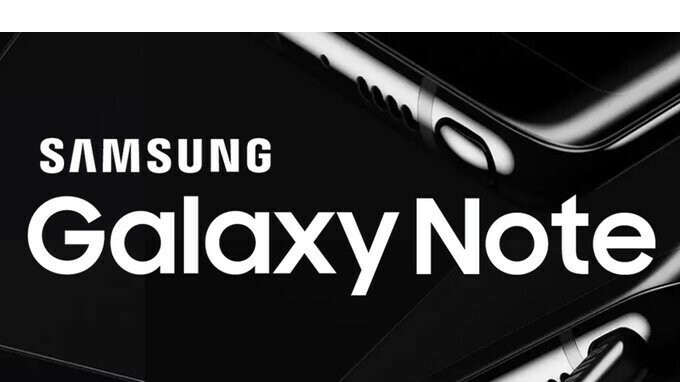 What I "Have To Say" is; Samsung, since You have been Producing a 512GB Chip, then Provide the New Samsung Galaxy Note 9 with the 512GB Storage Option Here in the US on Carrier Branded and Unlocked Phones from the Pre-order Date. Anyone else Want Samsung to do this from the Pre-order Date and Not Weeks or Months Later, Pleas Speak Up and Voice Your Opinions Here. Also for the people who are just happy with the 64gb version, Please Don't have Any negative comments here. Thank You. Seriously who cares? Note 8 looks really decent, if Note 9 = same case, better hardware ... who cares.